The Spartan army was one of the most powerful of the ancient world, and this was due to the Spartan military that was the core and the backbone of the ancient Greek state. The warriors that fought for, and lived for the state were some of the most impressive ever, and this was due to the regimented and military fashion in which children in Sparta were raised, to later successfully join the Spartan military. While we have already detailed the training that the Spartan warrior would go through, from childhood to adult, and some of the jobs that would be assigned to them along the way. the Spartan military itself is a rather separate subject, encompassing the codes they believe in, and the campaigns and structure the military was built around. The Spartan hoplites that built the Spartan army had not only a strict physical work ethic, but they would have have a strict code of honour. Each Spartan lived by these codes, they were deemed important, valuable to success, and if a hoplite warrior was to break these codes, they could risk dishonour. 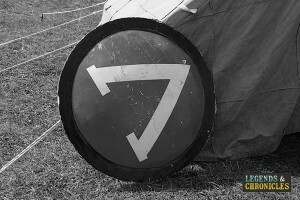 The code covered a variety of topics, battle tactics and personal behaviours. For example a hoplite in battle had to ensure they did not endanger his fellow warriors. 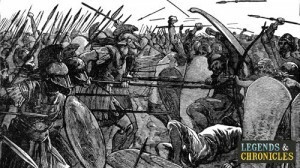 A hoplite would be expected to behave in a calm manner even in the most dire battle situations, if a hoplite would display suicidal behaviours, recklessness or rage then could put the whole hoplite phalanx at risk. The hoplite would also be expected to speak with few words, move quietly and never drop their shield. Of course this was the code that a Spartan hoplite should adhere too, and as we mentioned if they were to break from this code, they would risk dishonour. If a Spartan was dishonoured then it could spell the end of their position, possible exclusion from society and to lose their citizenship as a Spartan. The water was not the home of the Spartans, they skills were most definitely focused on land. While the sea held little interest to Sparta, they still had a small naval operation that was active during the Persian wars. Later the Spartans would give more focus to the water, and even build a strong, skilled navy that rode their triremes with skill. In time however the Spartan navy would crumble under the combined pressure of the Persian and the Athenians, but for a short time they were not only successful on land and on the sea. During the time of the city state of Sparta, the varied campaigns and battles of the Spartan military are rather legendary. While it’s well known the Spartans did not like to travel too far from their home, battle often made demands on them and combat and campaigns were a necessity. The Spartans were not fans of marching, they however preferred to fight as close as possible to Sparta were possible. There was even wars that Sparta refused to take part in due to the long marches required, homesickness was possibly the biggest weakness of the Spartan hoplites. The adept combat skills of the Spartan Hoplites were well suited to the infantry based combat of the time. The Spartans rarely did anything revolutionary in Ancient Greece when it came to combat, but the constant training, the focus on perfection and the athletic prowess meant the Spartans did everything exceptionally well. While not fond of marching, the Spartans still did. Also not the biggest fans of the oceans, the Spartans still however had a navy. Fond of fighting, and the Spartans excelled at this. The hard training, the service and loyalty of its citizens, the State of Sparta was perhaps the first fully military based state in the ancient world. When it came to battle the Spartans took the modern military tactics of the ancient Greeks and drilled and refined it to perfection, in hand to hand combat a Spartan man was worth more than any other. The Spartan military had a reputation that was well deserved.